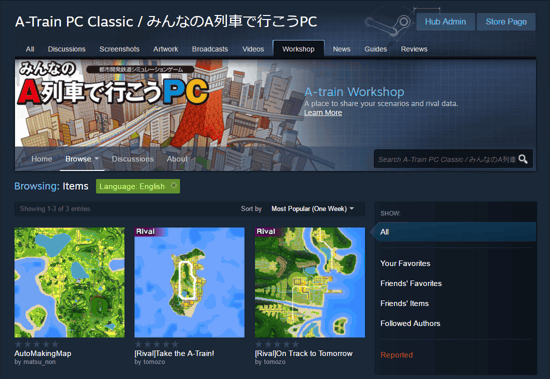 A-Train Classic PC includes Steam Workshop integration. You can play any scenario here just by subscribing to it. It will be automatically downloaded and added to your list of scenarios. You can also share any scenario you create, as well as rival data to compete with other player's achievements.